The Nigerian Army has pledged to collaborate with Intrepid International Africa Services. 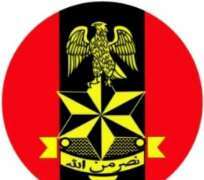 A statement issued Wednesday by Brigadier General Sani Kukasheka Usman , the Director Army Public Relations said that the Chief of Army Staff (COAS), Lieutenant General Tukur Buratai, made the promise today, Wednesday when he received the management of the organisation which was led by Senior Vice President, Vice Admiral DJ Ezeoba (rtd), a former Chief of the Naval Staff, at the Army Headquarters, Abuja. Lt Gen Buratai further indicated the interest of the Nigerian Army to partner with the company, saying it is a well-designed concept required to encourage local production in the defence and security sector. He also added that such partnership would boost Nigeria’s economy. Earlier in his remark, the Senior Vice President of the company, Vice Admiral DJ Ezeoba (rtd), thanked the COAS for receiving his team, adding that they identified the gap in providing logistics support to the Nigerian military that hamper the successful prosecution of some operations. He also commended the Nigerian Army in particular, for leading the counter insurgency operations in the country, maintaining that the collaboration would further enhance the maneuver capability of the Nigerian Army and further enhance the capacity of the Nigerian Army in terms of the production of military equipment. This he added would encourage economic development in Nigeria. The visit was witnessed by some Principal Staff Officers and Directors of the Army Headquarters.